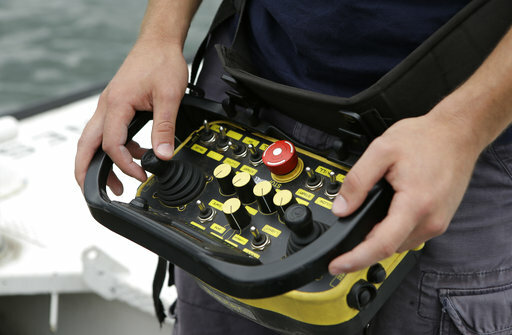 Sea Machines is pleased to announce the launch of the Sea Machines 300 autonomy system for commercial workboats. It enables remote & autonomous command of a vessel, enabling enhancements in operability & safety. The …more Self-driving cars may not hit the road in earnest for many years - but autonomous boats could be just around the pier. Spurred in part by the car industry's race to build driverless vehicles, marine innovators are building automated ferry boats for Amsterdam canals, cargo ships that can steer themselves through Norwegian fjords and remote-controlled ships to carry containers across the Atlantic and Pacific. The first such autonomous ships could be in operation within three years. The boat still needs human oversight. But some of the world's biggest maritime firms have committed to designing ships that won't need any captains or crews—at least not on board. In this Tuesday, Aug. 15, 2017 photo, a boat capable of autonomous navigation makes its way around Boston Harbor. The experimental workboat spent this summer dodging tall ships and tankers, outfitted with sensors and self-navigating software and emblazoned with the words "UNMANNED VESSEL" across its aluminum hull. The startup has signed a deal with an undisclosed company to install the "world's first autonomy system on a commercial containership," Johnson said this week. 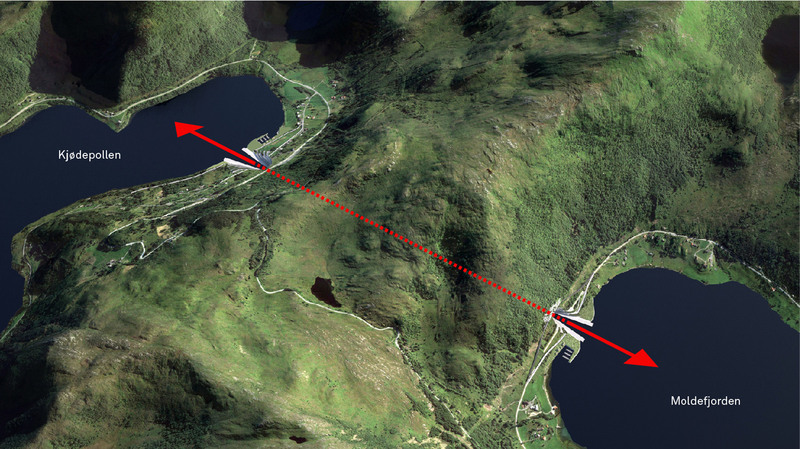 It will be remotely-controlled from land as it travels the North Atlantic. He also plans to sell the technology to companies doing oil spill cleanups and other difficult work on the water, aiming to assist maritime crews, not replace them. 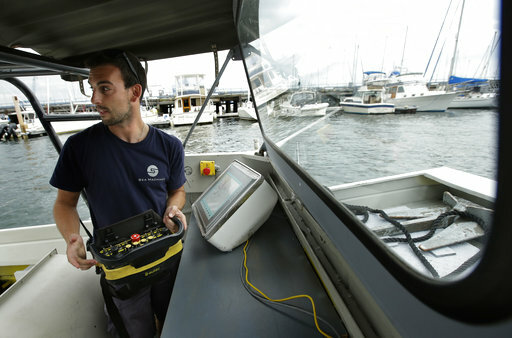 In this Tuesday, Aug.15, 2017 photo, Jeff Gawrys, marine technician for Boston startup Sea Machines Robotics, prepares to disengage the navigation of a boat and switch the vessel over to fully autonomous control in Boston Harbor. Spurred on by the car industry's race to build driverless vehicles, maritime companies are taking advantage of technological breakthroughs and broader public acceptance of artificial intelligence to design tugboats, ferries and cargo vessels that won't need captains or crews, at least not on board. 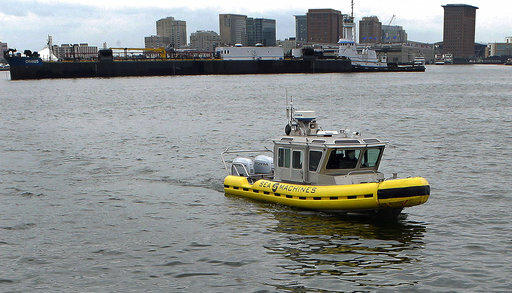 In this Aug.15, 2017 photo, computer scientist Mohamed Saad Ibn Seddik, of Sea Machines Robotics, uses a laptop to guide a boat outfitted with sensors and self-navigating software and capable of autonomous navigation in Boston Harbor. Militaries have been working on unmanned vessels for decades. But a lot of commercial experimentation is happening in the centuries-old seaports of Scandinavia, where Rolls-Royce demonstrated a remote-controlled tugboat in Copenhagen this year. Government-sanctioned testing areas have been established in Norway's Trondheim Fjord and along Finland's western coast. 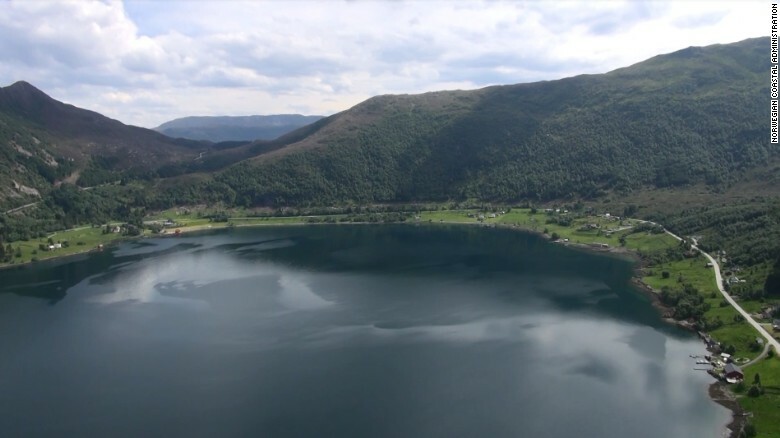 In Norway, fertilizer company Yara International is working with engineering firm Kongsberg Maritime on a project to replace big-rig trucks with an electric-powered ship connecting three nearby ports. The pilot ship is scheduled to launch next year, shift to remote control in 2019 and go fully autonomous by 2020. 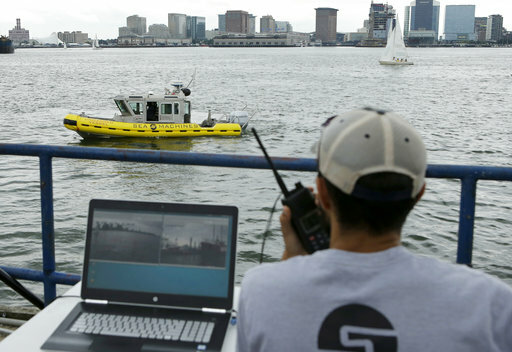 Frank Marino with Sea Machines Robotics uses a remote control belt pack to operate a boat in Boston Harbor. Spurred on by the car industry's race to build driverless vehicles, maritime …more Japanese shipping firm Nippon Yusen K.K.—operator of the cargo ship that slammed into a U.S.
Navy destroyer in a deadly June collision—plans to test its first remote-controlled vessel in 2019, part of a wider Japanese effort to deploy hundreds of autonomous container ships by 2025. A Chinese alliance has set a goal of launching its first self-navigating cargo ship in 2021. The key principles of self-driving cars and boats are similar. Both scan their surroundings using a variety of sensors, feed the information into an artificial intelligence system and output driving instructions to the vehicle. But boat navigation could be much easier than car navigation, said Carlo Ratti, an MIT professor working with Dutch universities to launch self-navigating vessels in Amsterdam next year. The city's canals, for instance, have no pedestrians or bikers cluttering the way, and are subject to strict speed limits. Spurred on by the car industry's race to build driverless vehicles, maritime companies are …more Since many boats already have electronic controls, "it would be easy to make them self-navigating by simply adding a small suite of sensors and AI," Ratti said. Researchers have already begun to design merchant ships that will be made more efficient because they don't need room for seamen to sleep and eat. But in the near future, most of these ships will be only partly autonomous. 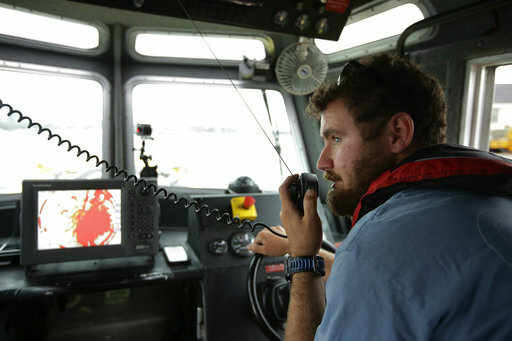 Armchair captains in a remote operation center could be monitoring several ships at a time, sitting in a room with 360-degree virtual reality views. 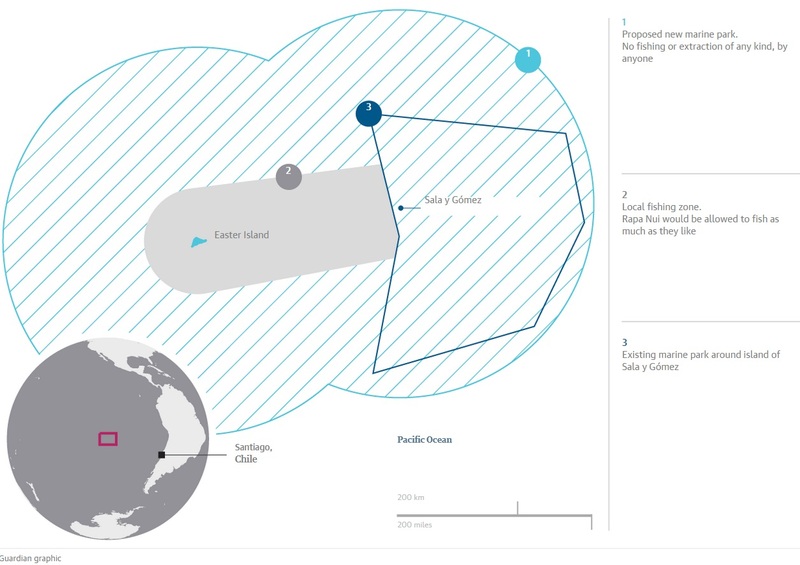 When the vessels are on the open seas, they might not need humans to make decisions. It's just the latest step in what has been a gradual automation of maritime tasks. 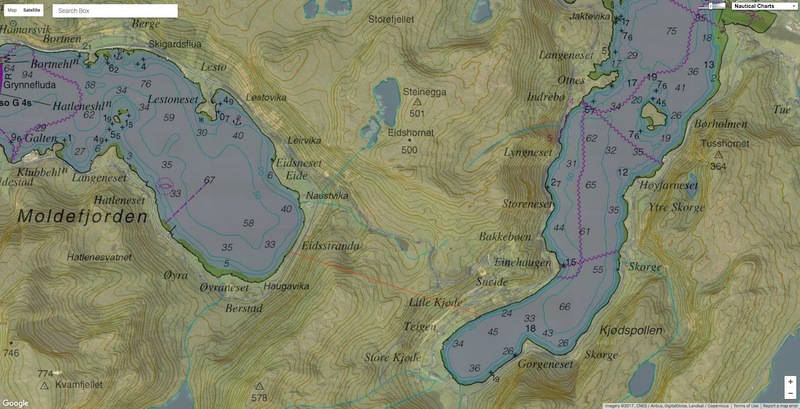 "If you go back 150 years, you had more than 200 people on a cargo vessel. 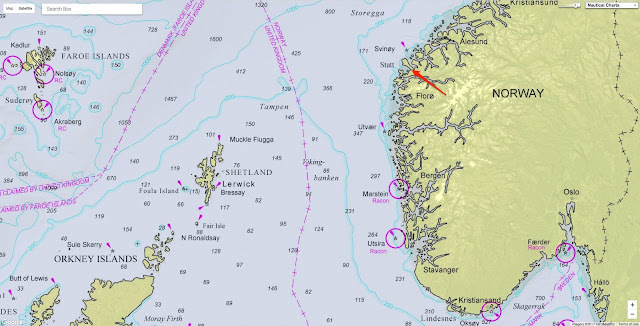 Now you have between 10 and 20," said Oskar Levander, vice president of innovation for Rolls-Royce's marine business. There are still some major challenges ahead. Uncrewed vessels might be more vulnerable to piracy or even outright theft via remote hacking of a ship's control systems. Some autonomous vessels might win public trust faster than others; unmanned container ships filled with bananas might not raise the same concerns as oil tankers plying the waters near big cities or protected wilderness. A decades-old international maritime safety treaty also requires that "all ships shall be sufficiently and efficiently manned." But The International Maritime Organization, which regulates shipping, has begun a 2-year review of the safety, security and environmental implications of autonomous ships. Maritime Executive : Autonomous Ships Before Autonomous Cars? RTInsights : Internet of Boats: Are Self-Driving Ships About to Set Sail? The newest 8 megawatt offshore turbines stand almost 200 metres high, taller than London's Gherkin building. But Ms Pinchbeck said the turbines would double in size in the 2020s. Eyes will be raised at this suggestion, as nuclear power has already received subsidies since the 1950s. But storage of surplus energy from offshore wind is still a challenge. Each wind turbine is taller than Big Ben and the farm can power 20,000 homes. The £57.50 for new offshore wind power is not a true subsidy. It is a "strike price" - a guaranteed price to the generating firm for power it supplies. Bloomberg : Offshore Wind Costs Fall Below New Nuclear Plants in U.K. 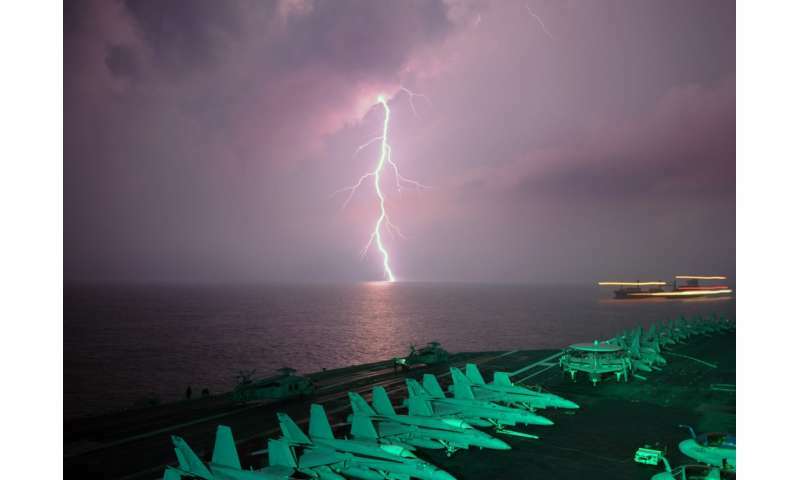 Lightning behind an aircraft carrier in the Strait of Malacca. 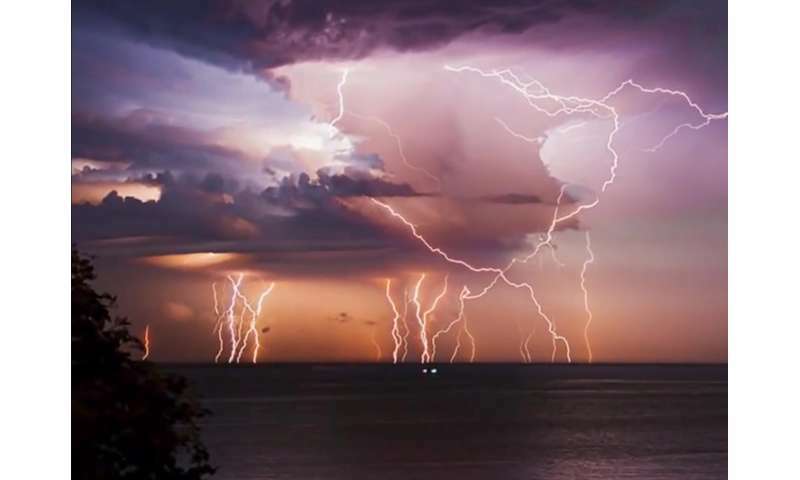 New research finds lightning strokes occurred nearly twice as often directly above heavily-trafficked shipping lanes in the Indian Ocean and the South China Sea year-round from 2005 through 2016. Credit: public domain. Thunderstorms directly above two of the world's busiest shipping lanes are significantly more powerful than storms in areas of the ocean where ships don't travel, according to new research. A new study mapping lightning around the globe finds lightning strokes occur nearly twice as often directly above heavily-trafficked shipping lanes in the Indian Ocean and the South China Sea than they do in areas of the ocean adjacent to shipping lanes that have similar climates. The difference in lightning activity can't be explained by changes in the weather, according to the study's authors, who conclude that aerosol particles emitted in ship exhaust are changing how storm clouds form over the ocean. The new study is the first to show ship exhaust can alter thunderstorm intensity. The researchers conclude that particles from ship exhaust make cloud droplets smaller, lifting them higher in the atmosphere. This creates more ice particles and leads to more lightning. The results provide some of the first evidence that humans are changing cloud formation on a nearly continual basis, rather than after a specific incident like a wildfire, according to the authors. Cloud formation can affect rainfall patterns and alter climate by changing how much sunlight clouds reflect to space. "It's one of the clearest examples of how humans are actually changing the intensity of storm processes on Earth through the emission of particulates from combustion," said Joel Thornton, an atmospheric scientist at the University of Washington in Seattle and lead author of the new study in Geophysical Research Letters, a journal of the American Geophysical Union. 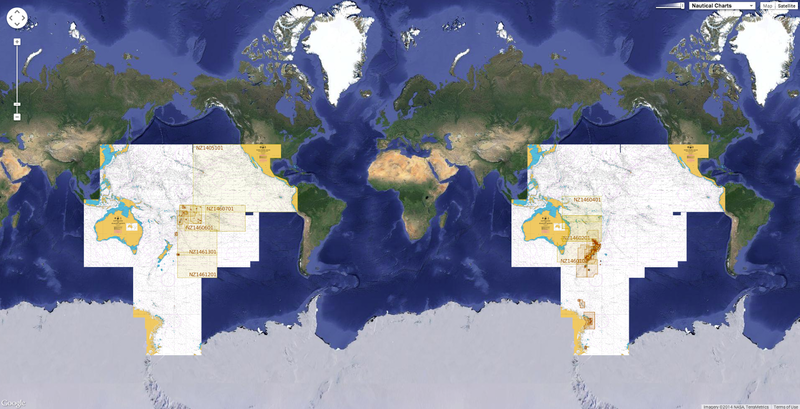 "It is the first time we have, literally, a smoking gun, showing over pristine ocean areas that the lightning amount is more than doubling," said Daniel Rosenfeld, an atmospheric scientist at the Hebrew University of Jerusalem who was not connected to the study. "The study shows, highly unambiguously, the relationship between anthropogenic emissions - in this case, from diesel engines - on deep convective clouds." 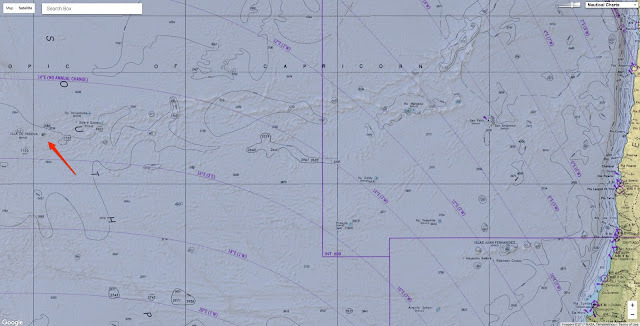 A map of ships crossing the Indian Ocean and surrounding seas during June 2012. Most ships crossing the northern Indian Ocean follow a narrow, nearly straight track around 6 degrees North between Sri Lanka and the island of Sumatra. East of Sumatra, ships travel southeast through the Strait of Malacca, rounding Singapore and extending northeast across the South China Sea. Aerosol particle emissions in these shipping lanes are ten times or more greater than in other shipping lanes in the region, and are among the largest globally. 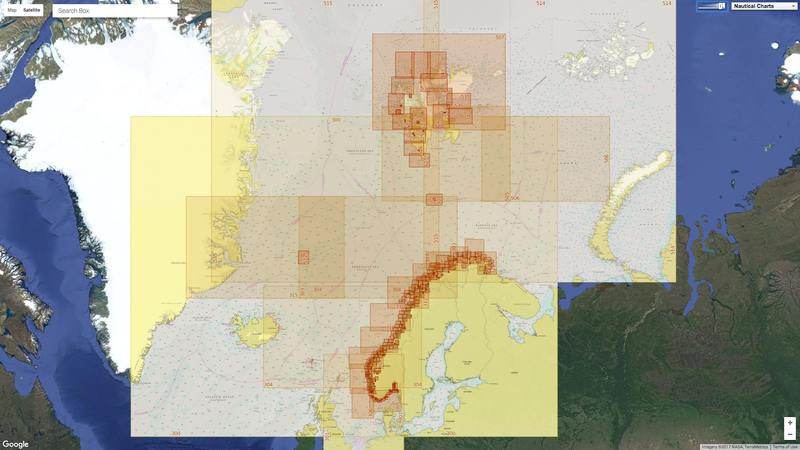 Credit: shipmap.org, an interactive map of commercial shipping movements, created by Kiln for University College London's Energy Institute. All combustion engines emit exhaust, which contains microscopic particles of soot and compounds of nitrogen and sulfur. These particles, known as aerosols, form the smog and haze typical of large cities. They also act as cloud condensation nuclei - the seeds on which clouds form. Water vapor condenses around aerosols in the atmosphere, creating droplets that make up clouds. Cargo ships crossing oceans emit exhaust continuously and scientists can use ship exhaust to better understand how aerosols affect cloud formation. In the new study, co-author Katrina Virts, an atmospheric scientist at NASA Marshall Space Flight Center in Huntsville, Alabama, was analyzing data from the World Wide Lightning Location Network, a network of sensors that locates lightning strokes all over the globe, when she noticed a nearly straight line of lightning strokes across the Indian Ocean. Virts and her colleagues compared the lightning location data to maps of ships' exhaust plumes from a global database of ship emissions. Looking at the locations of 1.5 billion lightning strokes from 2005 to 2016, the team found nearly twice as many lightning strokes on average over major routes ships take across the northern Indian Ocean, through the Strait of Malacca and into the South China Sea, compared to adjacent areas of the ocean that have similar climates. More than $5 trillion of world trade passes through the South China Sea every year and nearly 100,000 ships pass through the Strait of Malacca alone. Lightning is a measure of storm intensity, and the researchers detected the uptick in lightning at least as far back as 2005. "All we had to do was make a map of where the lightning was enhanced and a map of where the ships are travelling and it was pretty obvious just from the co-location of both of those that the ships were somehow involved in enhancing lightning," Thornton said. The top map shows annual average lightning density at a resolution of about 10 kilometers (6 miles), as recorded by the WWLLN, from 2005 to 2016. 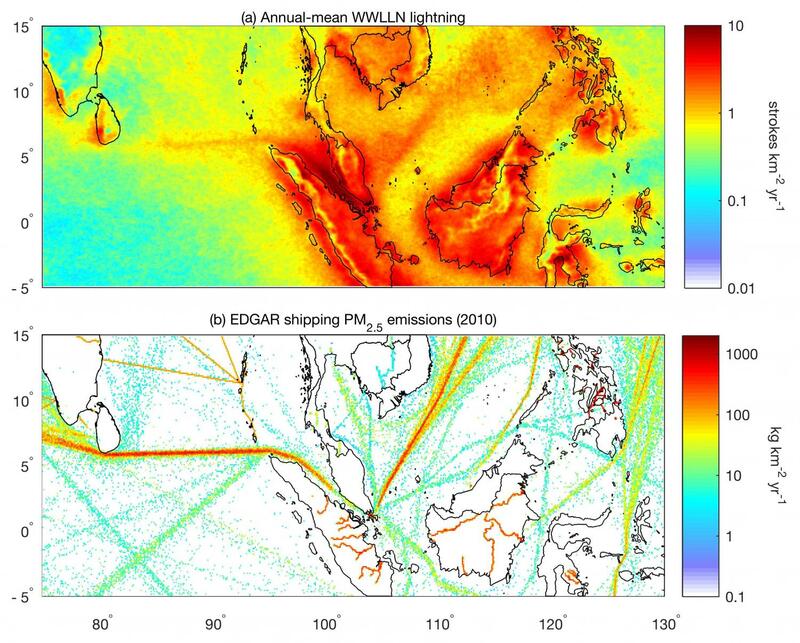 The bottom map shows aerosol emissions from ships crossing routes in the Indian Ocean and South China sea from 2010.
Credit: Thornton et al/Geophysical Research Letters/AGU. Water molecules need aerosols to condense into clouds. Where the atmosphere has few aerosol particles - over the ocean, for instance - water molecules have fewer particles to condense around, so cloud droplets are large. When more aerosols are added to the air, like from ship exhaust, water molecules have more particles to collect around. More cloud droplets form, but they are smaller. Being lighter, these smaller droplets travel higher into the atmosphere and more of them reach the freezing line, creating more ice, which creates more lightning. Storm clouds become electrified when ice particles collide with each other and with unfrozen droplets in the cloud. Lightning is the atmosphere's way of neutralizing that built-up electric charge. Ships burn dirtier fuels in the open ocean away from port, spewing more aerosols and creating even more lightning, Thornton said. "I think it's a really exciting study because it's the most solid evidence I've seen that aerosol emissions can affect deep convective clouds and intensify them and increase their electrification," said Steven Sherwood, an atmospheric scientist at the University of New South Wales in Sydney who was not connected to the study. "We're emitting a lot of stuff into the atmosphere, including a lot of air pollution, particulate matter, and we don't know what it's doing to clouds," Sherwood said. "That's been a huge uncertainty for a long time. This study doesn't resolve that, but it gives us a foot in the door to be able to test our understanding in a way that will move us a step closer to resolving some of those bigger questions about what some of the general impacts are of our emissions on clouds." Water II is another fine example of his capacity to find a unique perspective of life at sea. Filmed in Hawaii, Tahiti, Maldives, Barbados, Indonesia, Mexico and California.